The two day event, September 21st and 22nd, presented by EMERALD COAST MARTIAL ARTS, LLC, began with a Friday morning Meet and Greet session with refreshments and vendors in corridor hall as various martial arts masters, students and instructors gathered at the fabulous Sandestin Beach and Golf Resort in sunny Ft. Walton Beach FL to honor those martial art pioneers and artists that have also contributed to the growth and prosperity to the arts and to their communities. Located on the Northwest Florida Gulf Coast in Destin, Florida, Sandestin is a 2,400-acre premier destination resort located between Pensacola and Panama City that invites guests to enter its world of 30 charming village neighborhoods featuring rental condominiums, villas, town homes and a wide variety of luxury beach hotel accommodations. The Sandestin Beach Resort boasts more than seven miles of sugar-white sand beach and bayfront property, four championship golf courses, 15 world-class tennis courts, 19 swimming pools, a 113-slip marina, marina dockage facilities, water sports, children’s programs, a fitness center and spa, 65,000 square feet of meeting space for weddings, and exchange tungsten rings, family reunions, corporate meetings, retreats and more, and a pedestrian village complete with shopping, restaurants, ice skating, zip lining, and vibrant nightlife. The afternoon was filled with instructional seminars taught by masters of the arts from around the world. In Grand Ballroom A was a Combat Tactics Seminar with Grand Master Tony Mayo who started in the Martial Arts at the age of 6 in the Art of Shoto Kan Karate Do and earned a 3rd Dan, Shaolin Kung Fu, Black Sash, Aiki Jitsu Te- 6th Dan in 2006.He was promoted to the rank of 10th Dan Grandmaster by Chief Grandmaster Black Hawk San Carlos, Soke Papasan Canty, Soke Haisan Kaleak, Soke Lil John Davis and worked in Law Enforcement in the Bronx for three years before moving to Tampa FL. This October will be his 45th anniversary in the Martial Arts. He is the founder of Elite Force Tactical Solutions and won a fighting World Championship in 1994 in Jacksonville FL while at the World Martial Art Hall of Fame, where he was inducted into the as Weapons Expert Self-Defense Instructor and Grandmaster of the Year. He is a nine time Grand Champion in NY and NJ and has presented law enforcement, military and civilian seminars in London, Germany and China, as well as the United States. In Grand Ballroom B, the Chin Na Seminar with Instructor Ed Berry. He began studying Martial Arts at the age of eight. His first Martial Arts training was in the Korean Art of Taekwondo. This art served as a wonderful tool for a child, helping him learn discipline, dedication and self-confidence. As he began his teenage years, he began training in a cross or mixture of Martial Arts under his uncle, Hap Milt. During this time, he learned several styles of fighting including Hapkido, knife skills, and practical chokes. In his twenty’s, he began training formally in AGK (the American Goshin Budo and Kobudo – Shi-Toh-Ryu Karate -Do). Here he gained a great knowledge of the formalities of the Okinawa Art and was privileged to be trained by Sensei Stan Cole in Black Mountain, NC. During this time he was introduced to both Form Tournaments and Fighting Tournaments. He still has fond memories of Sensei Cole and the valuable lessons he learned. Approximately twelve years ago, now in his thirties, he had the unique privilege of formally meeting Sifu Henry Patterson of New Jersey. This opened up to a whole new field of study as he was introduced to the Chinese Arts of Wing Chun and White Crane Gong Fu, Shaolin Qin Na, Taijiquan and Qigong. For him, these were and are the real deal. These arts are practical, efficient and reliable. 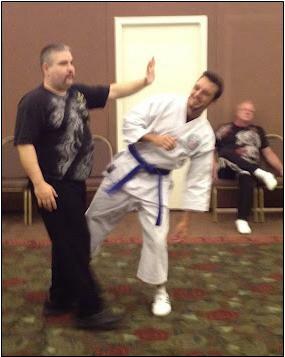 Training under Sifu Patterson increased his awareness of real life Self Defense techniques. In the years of training in these Chinese Arts, he has been invited to travel all across the United States to train with Dr. Yang Jing-Ming a true Master and Master Yip Pui (Terence Yip). At 2:00 PM in Grand Ballroom B Dr. David Harris began his Qi Gong Seminar. 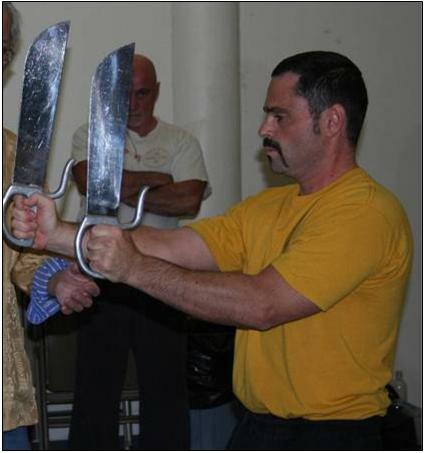 Dr. Harris is Grandmaster of three Martial Arts and Qi Gong with twenty-five years experience. He held the world title in Kumite Open Fighting for two years and the world title for brick breaking, eighteen concrete blocks to be exact. “I have now turned the knowledge and energy I originally learned to inflict damage or death, into healing. I find Core Health and the Skills Development highly effective ways of inner purification, and absolutely necessary to being optimally powerful from the inside, flowing into outer expression, in Life, in Martial Arts, and in Health. I began my study of Martial Arts at four years of age. Individuals who find one Grandmaster in a lifetime to study with are fortunate. Being in the right place at the right time, I have had the honor of studying with many Grandmasters in Martial Arts. Supreme Grandmaster Ashida Kim ‘The Ninja’, Supreme Grandmaster Charles ‘Iron Eagle’ Laver, and Grandmaster Jack ‘Soke’ Johns, just to name a few. “Some of my styles of Martial study include -Shun Tao, Tai Chi Chuan, Fa jing Chuan, Baguazhang, Chinese Kenpo, American Kenpo, Jujitsu, Ninjitsu, Dim Hsueh, Aikido, Arnis, Kali, Tae Kwon Do, Goju ryu, Judo, Shoot Fighting, Kick Boxing, Jeet Kune Do, and many others. To understand the Martial Arts one must look deeper than styles. One must look inside themselves. Martial Science and Martial Studies are all reflections of you. Because all knowledge ultimately means self knowledge of the mind, body, and spirit, the study of one’s self is what Martial Arts are truly about. “All the answers to life are right in front and inside of us everyday. But so often we overlook them and thus take them for granted. We all have unbelievable power within us, of which ‘Modern Science’ has either little or no concept. Western philosophy attempts to discredit what it should be questioning. All things at this point in time cannot be measured by a machine; hence science’s shortcomings. “The whole of the universe cannot be put in a test tube nor under a microscope. Frequently, people ask me, ‘What do you believe in?’ Most imply some type of religion. I tell them ‘I Believe in results, I have Faith in God’. I have also studied many healing systems as well in order to find the common link between all things. Some of the healing arts that I have studied include–Shun Tao, Qi Gong, Qi Gong (Rod) Nei gong, Dim Mak, Shiatsu, Tui na, Gua Sha, Jie Gu, An mo, Acupuncture, Herbal Therapies (Chinese, Western, Ayurvedic, and Rain Forest). “I have also studied many of the more well known systems in United States some including EFT, Sedona Method, Silva Mind Control, Body Talk, Immunics, Reiki and many others.” Grand Master David has founded multiple systems of healing, one of which is ‘Yes Therapy’. In 2004 he is was installed as the Supreme Grand Master of ‘Shun Shen Tao’ for the western hemisphere. He was this year’s recipient of the Wong Fei Hung Excellence in martial Arts Award for his great contributions to martial science, good health and longevity. 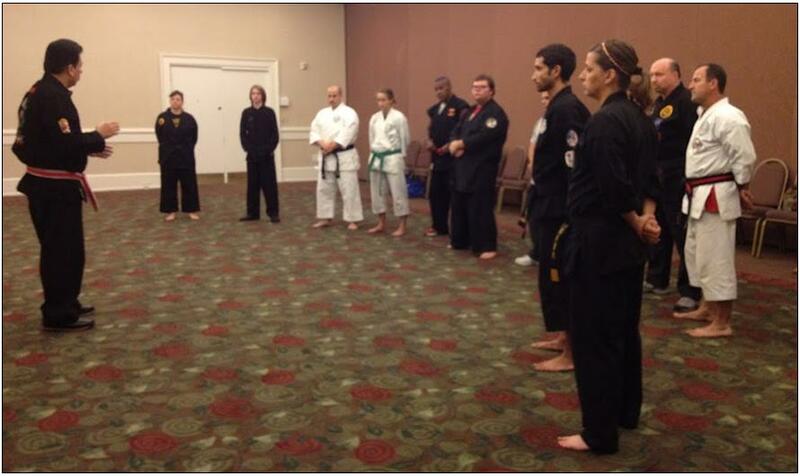 At the same time in Grand Ballroom B the Iai Do Seminar with Sensei Patty Heath was in progress. Sensei Patty Heath is the current Instructor of Eishin-Ryu Iaijutsu for the Big Green Drum Dojo. She is currently a Sandan, Black Belt 3rd Degree in Iaijutsu and has also been studying Aikido for 11 years. Muso Jikiden Eishin-Ryu is the Japanese martial art of swordsmanship which emphasizes drawing and cutting with the samurai sword (called a katana) in a single fluid motion. Muso Jikiden Eishin-ryu is a “koryu bujutsu” (which means traditional martial art) with a direct lineage back over 450 years to its founder, Hayashizaki Jinsuke Shigenobu, who developed this particular style of swordsmanship. The Advanced Teaching Skills Seminar taught by Soke Michael Kinney Korean Tang Soo Do, Ju-Jitsu, Aikido began at 5:30 PM During his Martial Arts career, Michael Kinney has earned an international reputation as a leading competitor, coach, competition official, seminar leader and instructor. Beginning in 1963, Mr. Kinney first studied Ju-Jitsu and then Tang Soo Do in the suburban Maryland/ Washington D.C. area. Throughout the Sixties, he significantly influenced early development of the Martial Arts on the East Coast. Since receiving his Black Belt in 1969, he has introduced tens of thousands of students to the Martial Arts and has trained and performed with many of the world’s finest Masters. Mr. Kinney moved to Florida in 1979. Since then, he has also become a major contributor to the Martial Arts in the South. He has been featured in Black Belt Magazine, U.S. News and World Report, Professional Karate Magazine, Washington Post Magazine, and Karate Illustrated, among others. 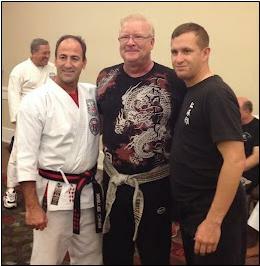 Mr. Kinney serves on the Executive Advisory Board of the EUSA International Martial Arts Association. His numerous television appearances have included NBC’s “Today Show” and ABC’s “Wide World of Sports.” Mr. Kinney also was the host of “Kinney Karate World,” a series syndicated nationally and produced by Group W Television. 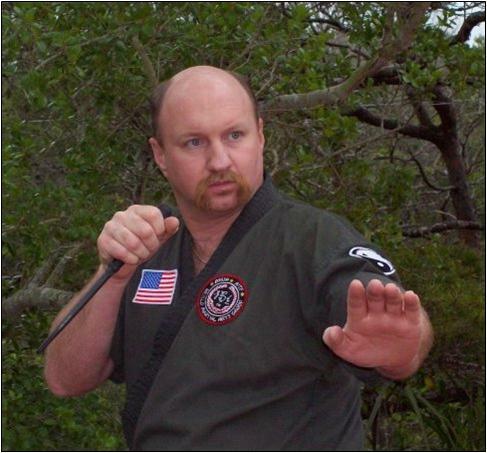 Mr. Kinney is the founder and director of Kinney Karate and currently teaches in St. Petersburg, Florida. Kinney Karate is one of the largest Karate schools in the nation and is recognized internationally. Kinney Karate has produced over a thousand Black Belts, many of whom own schools throughout the world. World Martial Arts Hall of Fame, World Sokeship Council : “World Grandmaster Elite” Publication, International Martial Arts Hall of Fame, World Head of Family Hall of Fame, Professional Karate Magazine feature: “International Martial Arts Elite”, Who’s Who in the Martial Arts10th Degree Black Belt. From 7:00 to 8:30 PM Martial Arts Demonstrations by, Sensei Bev Channer, Sifu Chris Damiano and his class, Sifu Ed Berry and students, Master Sledge and the Emerald Coast Martial Arts Demo Team and Sensei Patty Heath delighted the assembled students, observers and masters. It continued Saturday morning and into the late afternoon. From 8:00 A.M.-12:00 P.M. the Law Enforcement/Security Seminar MAC POC-P/Police Operations Combatives taught by Dr. John M. Landry, Ph.D. certified instructor and founder of Modern American Combatives was held behind closed doors. 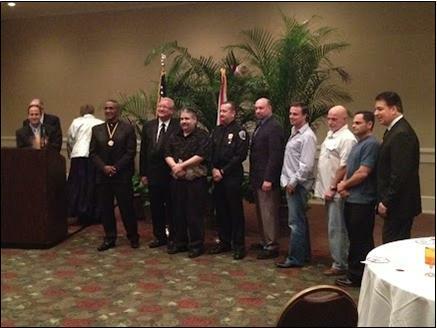 Detective John M. Landry, Ph.D. is a full-time active duty police officer, training coordinator and police instructor in South Florida. He has been instructing law enforcement officers since 1995, and is certified to teach law enforcement firearms (rifles, shotguns, and pistols), defensive tactics, TASERs, chemical weapons, handcuffing, expandable batons, knife tactics, close combat, and officer survival. 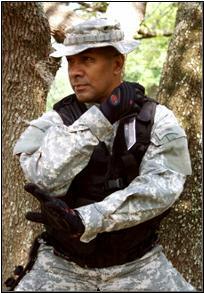 He is a member of various professional organizations such as the Archangel Anti-Terror Training group. He started training in Judo in 1974, and has been practicing and/or teaching martial arts ever since. 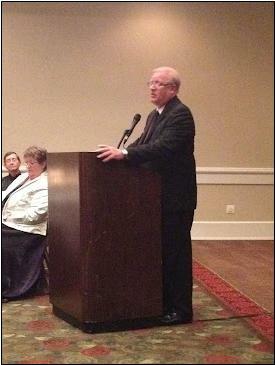 In 1988, Dr. Landry began his career in the security, personal protection, and law enforcement fields. He has been assigned to federal, state, and county task forces focusing on smuggling, organized crime and auto theft. He has also served in almost every assignment in law enforcement such as a State Emergency response Team member (E.R.T), street patrol, criminal investigations, and training where he has taught virtually all high liability and use-of-force topics. He also has earned a Doctorate degree in Education and a Master of Science degree in Criminal Justice Administration. As the son of a decorated Army Combat Medic World War II veteran, Dr. Landry has always had an interest in combat, law enforcement, and military topics. He has trained with a military intelligence unit and currently serves as a senior member of the United States Air Force Auxiliary Civil Air Patrol. 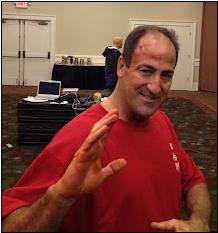 Dr. Landry is developing the Modern American Combatives (M.A.C.) system and once that system is complete, he will be offering no-cost instruction to any law enforcement or military agencies who are interested. Dr. Landry currently teaches various martial arts at three locations and is available for seminars or private training sessions. At the same time, from 8:15- 9:30 A.M. Grand Master Tony Mayo presented Combat Tactics in Grand Ballroom A; Sensei Patty Heath continued her Iai Do Instruction in Grand Ballroom B; and Sifu Chris Damiano taught Wing Chun in Grand Ballroom C. The halls were abuzz with activity. At 9:45-11:15 A.M. Soke Michael Kinney presented part two of his Advanced Teaching Skills Seminar and Soke John Liptak taught Krav Maga. President and Founder of The American Combat Federation Soke Liptak holds a 9th Degree Black Belt American Combat System, 7th Dan Black Belt Shotokan, 6th Degree Black Belt American Combat Karate, 4th Degree Black Belt Hand to Hand Combat, 4th Dan Black Belt Bushido-Ryu (SchoolofWarrior’s Way), 2nd Dan Black Belt Moo Duk Kwan /Tang Soo Do, 1st Degree Black Belt Kickboxing, 1st Dan Black Belt Shorin-Ryu, has 3 Years Training Wing Chun and has trained in: Boxing, Thai Kickboxing, Kenpo, Judo, Aikido, Snake Fist Kung Fu, Krav Maga, Jujitsu (Japanese and Brazilian), Cane Fighting, Knife Fighting, Stick Fighting; Combat Shooting Specialist (Hand Gun, Combat Shotgun, Rifle M-4 Style) He is a Personal Protection Specialist / Bodyguard Services / Risk Assessment / Former Marine (Law Enforcement, Correctional Specialist, Deserter Apprehension Team, Military Police, NIS Courier) as well as Israeli Krav International Instructor Member, holds a Dynamic Fighting Arts Membership and is Chief Instructor for The Red Dragon Martial Arts Academies. Lunch break from 11:15 A.M.-12:30 P.M. then back to work with Kajukenbo Instructor Grand Master Jay Vera. Julian J. Vera began training in karate, judo and boxing,at the age of 11 when he joined a local East Chicago Boys Club. At the of thirteen, his father, a Golden Glove Boxer also began training Jay in boxing. Jay Vera began further training and instruction in kajukenbo in 1972 while being stationed at Bergstrom Air Force Base in Austin, TX. He was discharged from the military in 1976. Jay Vera had the privilege and honor training with several martial artists, to name a few are GM Dann G. Baker, GM Ted Tabura, Sigung Ricky Rillera, GM Harold Laranang, GM Vincent Black, Prof. Jerry Cook, Prof. Moses Williams, GM Richard Peralta, GM John G.Long, GM Alan Reyes, GM Don Nahoolewa and even with Sijo Adriano Emperado Over the course of the next thirty-nine years Jay Vera mastered many forms of martial arts under many world renown grandmasters in Aiki Jujitsu, Iaido Swordsmanship, Kajukenbo, Kali Knife and Stick Fighting, Penjak Silat and Kung Fu. Within this time, Jay Vera competed and taught in numerous tournaments and seminars across the country, hosting his own SKI/NBL tournaments during four consecutive years, in conjunction with teaching at his three schools in Louisiana. Jay Vera was also active in his community teaching techniques to FBI officials, State Troopers, SWAT Teams and other law enforcements officers. Currently, Julian J Vera is President of Jay Vera's International Mixed Martial Arts Association, Founder of ZTM Realistic Mixed Martial Arts, Grandmaster in Aiki Jujitsu, Professor in Kajukenbo. Presently he continues teaching private lessons in the martial arts while actively maintaining the family tree under the Tony Lasit branch. Numerous accolades have been presented to Jay Vera, a few worth mentioning include World Champion Coach for NBL, Universal Martial Arts Hall of Fame, United States Martial Arts Hall of Fame and Founder of the Year. Jay Vera is also affiliated with and continues to support many of the Martial Arts Associations. While Dr. David Harris gave instruction in Dim Mak Application of the Qi Gong and Fa-Jing Techniques and their antidotes. On Saturday night at 6:30 P.M. the Dinner Awards Banquet in the Grand Ball Room of the Sandestin Beach and Golf Resort began. Following the opening prayer, Grandmaster John Enger began the ceremonies with a short history of Shinja Martial Arts University and an explanation of its philosophy. 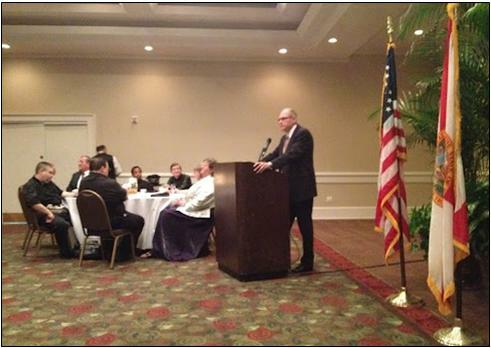 Grandmaster Joe Cayer welcomed everyone to the event before the gourmet dinner was served. 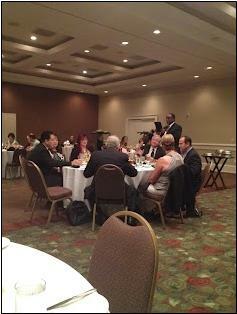 Then our emcee commenced with the recognition ceremony by calling each inductee forward to receive his/her Award. 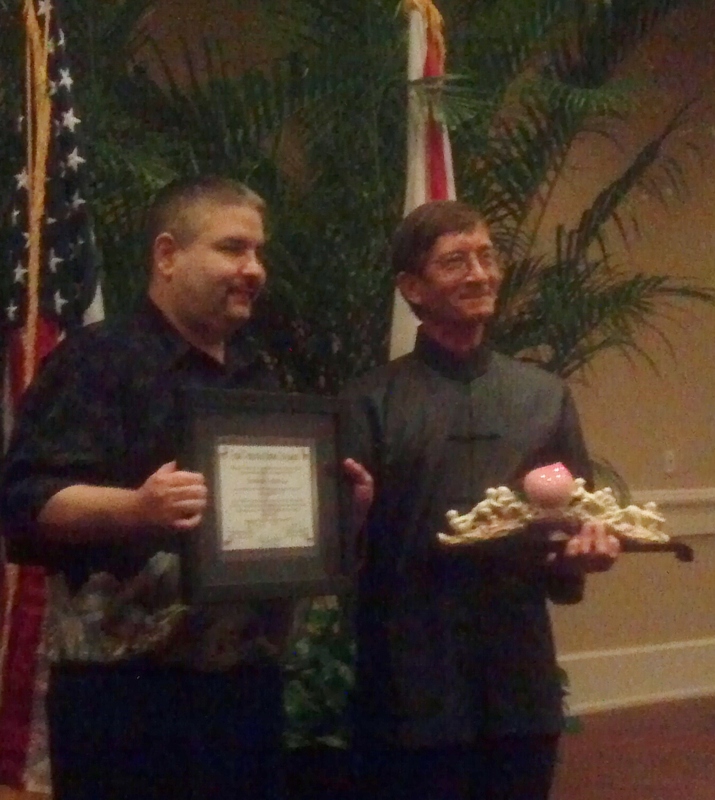 Grandmaster John Enger received an engraved Jade Egg as a token of respect for his leadership and teaching ability. Shotokan Master Joe Cayer was designated as the Official Chaplin of Shun Shen Tao and DOJO-Academy of Martial Arts and awarded a Ceremonial Fan in recognition of his great kindness and hospitality in hosting the event each year. Ruben Feliciano was named Shun Shen Tao Student of the Year for his commitment and continuing education as a therapist. Lydia Williams was named Healer of the Year for the clinical experience earned since our last meeting and Ray Foley of the computer enhancement SRC4U company was named Shun Shen Tao Disciple of the Year. Grandmaster Ashida Kim was given three special awards. One as Father of 21st Century Martial Arts for his for his efforts in taking the knowledge of the past masters, adapting his teaching to the 21st century and creating a multi-media platform for the future; Grand Patriarch of Modern Day Ninjitsu for his contribution to the modern instructional record for today’s and future generations and presented with a ceremonial Monkey Stealing A Peach award in recognition of this famous technique from his literary works such as Secrets of the Ninja, Secrets of Invisibility, Forbidden Fighting Techniques and Ninja Mind Control; and Warrior Legend of the Year 2012 by Shinja Martial Arts University. 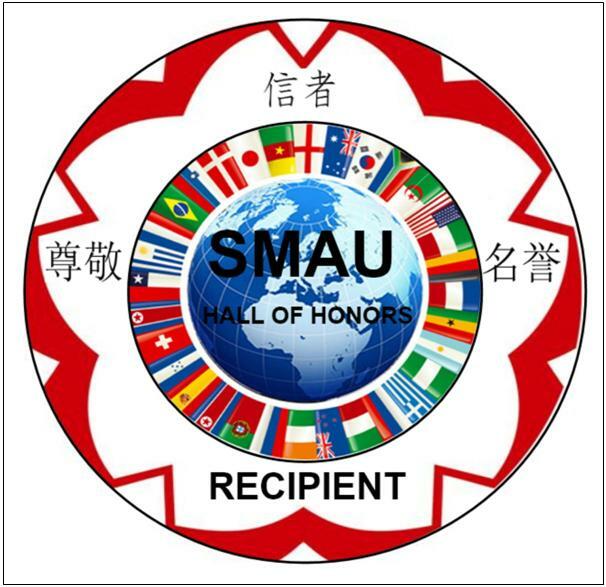 Grandmaster Davis Harris accepted a special award and spoke solemnly of the passing of Erle Montaigue on behalf of his family in the United Kingdom. Just as Grandmaster Kinney had related his great friendship and loss at the passing of the immortal Joe Lewis. Ray Foley introduced the pre-release of the new SRC4MartialArts software. 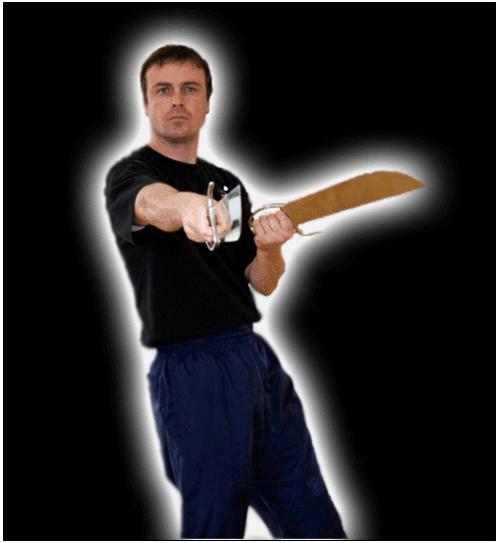 This revolutionary computer enhancement program has been described by Hanshi Frank Dux as the “quantum mechanics of martial arts.” The best description of its function was demonstrated in the Matrix movie series. It is a method of implanting knowledge and actual physical skill sets directly into the cortex of the brain, but without the plug-in. Grandmaster Enger’s recent experiments with this software was demonstrated during the second day of training with Grandmaster Harris. When the syllabus moved into “reptilian brain” practice he remarked that he “knew” this information before it was even spoken of. Once mentioned, he was instantly aware of the intricacies and internal aspects of the techniques and quickly able to absorb and perform the physical application almost perfectly the first time. 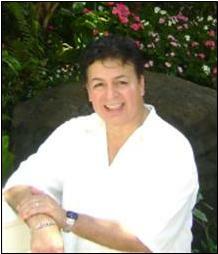 The principle is based on Dr. Harris’ SRC4U therapeutic programs. Type your name into the user friendly software and select the from the physical, mental or injury menus. Select an enhancement or balancing program and level of intensity. Click START. The software will scan your level of skill and select the frequencies required to fine tune them to a level seldom achieved even with decades of practice in only minutes of subsonic transmission. The initial experiments were done three years ago with students of Grandmaster Cayer’s Emerald Coast Dojo. Over a three month period the control group practiced daily while the experimental group relied solely on computer training. At the end of the research, both groups reported significant progress in their skill levels, but the SRC group had experienced the advancement much sooner and were able to practice at the higher, advanced state for a longer time. Likewise, common injuries treated by this method healed more quickly and were stronger than before. 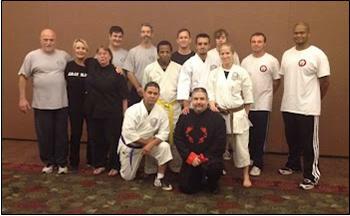 Several martial artists present signed up to be part of the newly formed beta-testing group. Again as last year has proven-this event has proven to be a milestone of camaraderie and fellowship and become an annual bond for all of those who attended.